Chanel has brought back the Fresh Effect Eyeshadows this summer in five limited-edition shades ($34 each). These are twist up cream shadow sticks with high amounts of shimmer. They have a cooling effect when you apply on the lids. This year’s shadows all seemed to be very rich in pigment. The two I picked up were the only neutrals in the collection. Both blended easily on the lids but seemed to dry relatively quick. 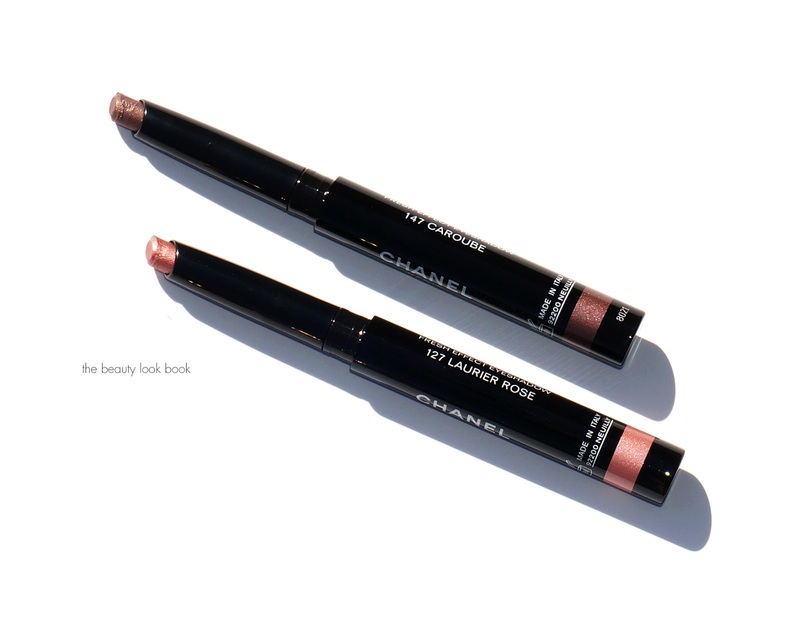 If you are one who likes to take time blending, I recommend adding a creamier base underneath to help slow down the drying time of the Chanel Stylo Eyeshadows. I picked up Laurier Rose 127 and Caroube 147. Both are high in shimmer and rich in pigment. 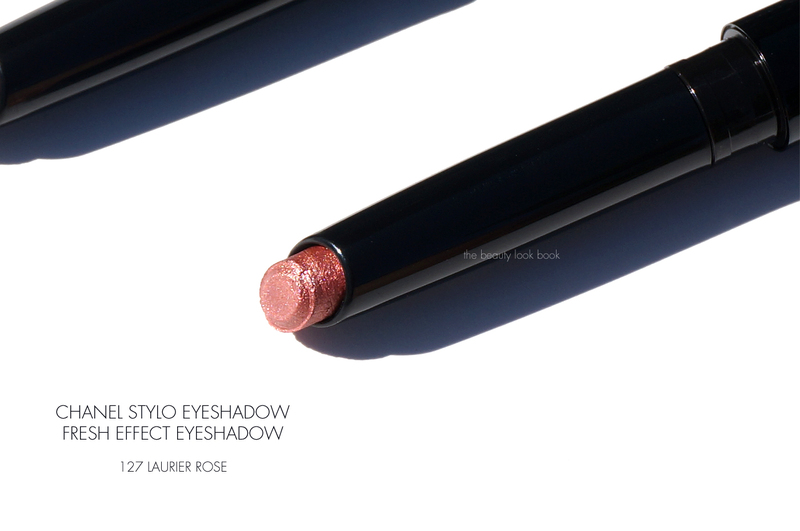 Laurier Rose is a warm golden peachy rose. 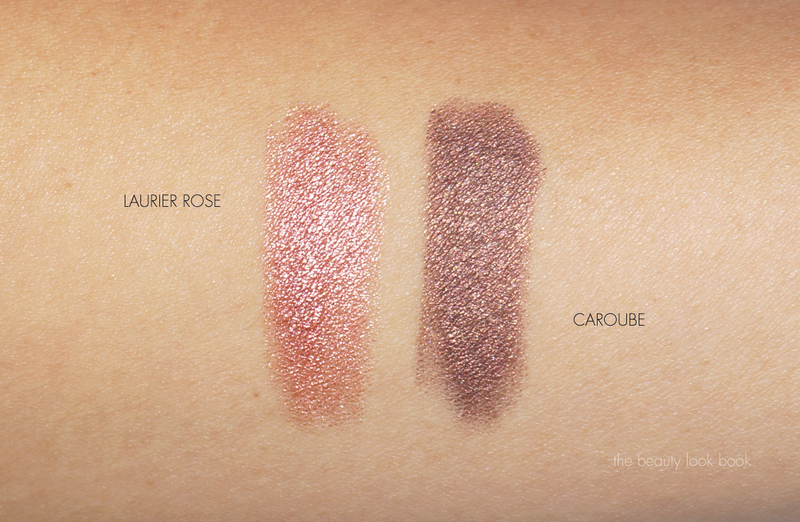 If you’re one who can’t pull off rose-toned eyeshadows you may want to skip this one. It’s very rosy and warm. I suspect it will look much better on medium to tan or darker skin tones. On me it’s very very warm. I have to tone it down a lot with a lighter champagne shadow (cream or powder) to make it wearable. Caroube 147 is a really pretty plummy bronze shimmer. This one is my personal favorite. It has a good mix of cool-tones with bronze to make it a nice easy-to-wear color. For me it’s a no-brainer. I can wear it alone or on top of a champagne eyeshadow like Chanel Emerville Illusion D’Ombre, add mascara and be done with a simple eye look. For both colors I found lasting power to be really good. On the days I tested these, they lasted from early morning until late afternoon without budging, creasing or fading. I like that there is no fall out with these – the texture is creamy but cooling and adheres really well to the lids. Caroube Stylo Eyeshadow swatched on bare lids, it dried pretty quickly, I recommend a creamy base first to help with the blending and layering. I like Edward Bess Sunlight All Over Seduction (but it’s not shown on the lids below). 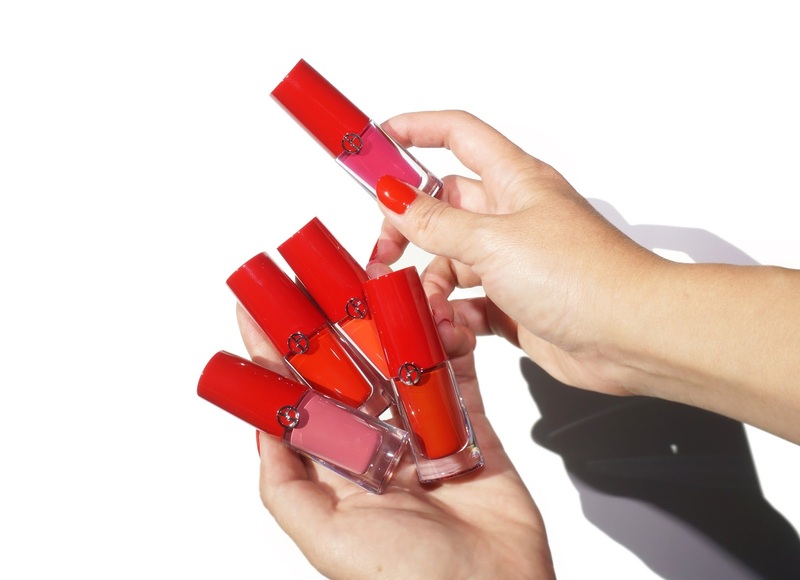 Every season I always look forward to Chanel’s new releases, especially the colors they launch for summer. For me the highlight of the summer beauty for Chanel is the bronzer and lipsticks (review soon). 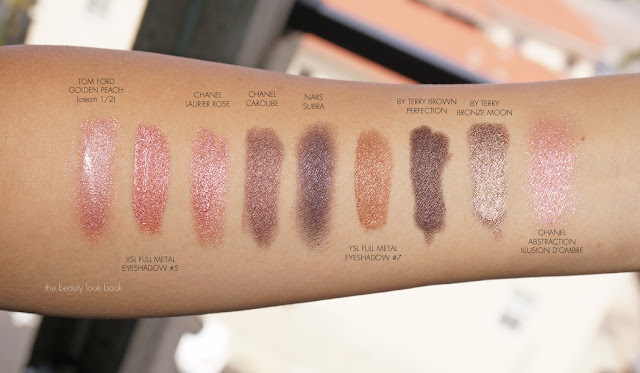 I wanted to love these eyeshadows, Laurier Rose falls short for me mainly because the color doesn’t work with my skin tone although I do really like the formula. It blends well, the shimmer is ultra fine and just enough glitz to show up on the lids. Lasting power is also phenomenal which I think is key for warm weather. Caroube is a winner in my book but not really mind-blowing. 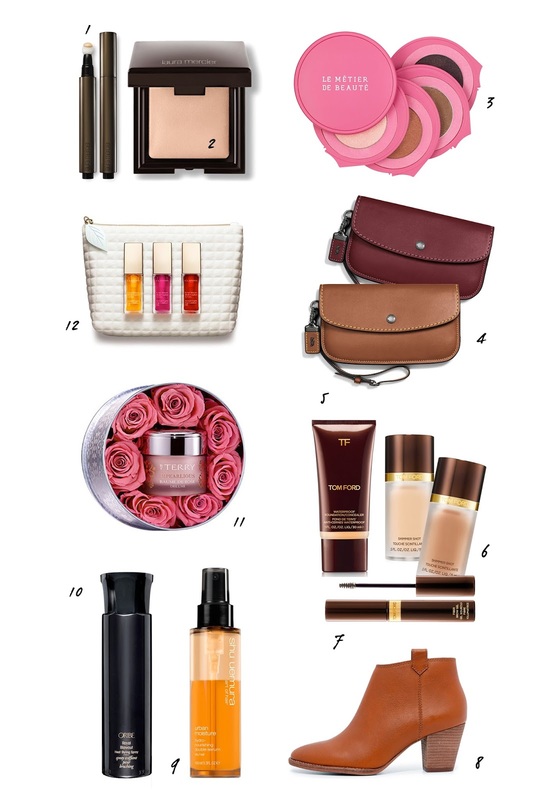 It’s a good staple bronzy shade that is easy to wear and something I can see myself wearing all summer long. 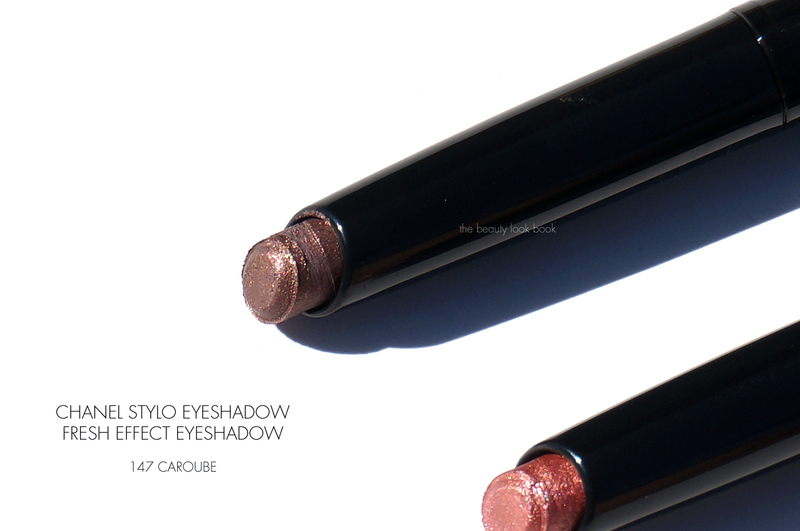 I’m one who can never have enough bronzy shimmer eyeshadows so I do love this color but I can’t call it a must-have. There are three other colors of Stylo Eyeshadow in the summer collection in a teal, purple and green. None of which are colors I wear so I passed on those shades. You can find all the colors now at Chanel counters. I bought mine from Nordstrom but you can also find these now at Chanel.com, Neiman Marcus and Saks Fifth Avenue. All five shades are listed as limited-edition. 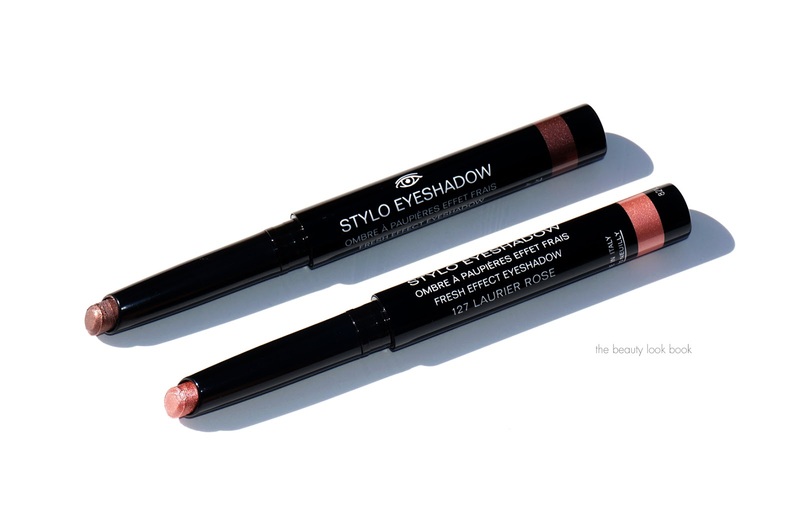 Have you checked out the summer Stylo Eyeshadows yet? What did you think?